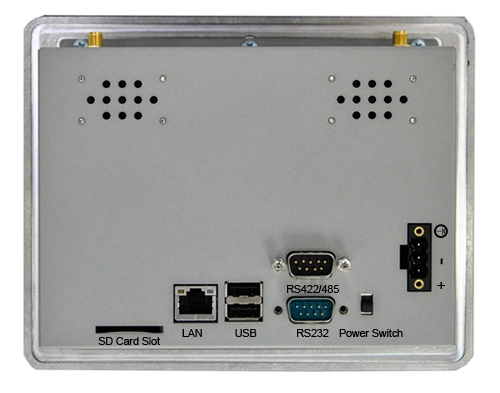 Winmate uses ARM11 RISC, and ultra-low voltage processor for small-sized operator interface applications. There are 5.7" and 7" are available in display sizes. 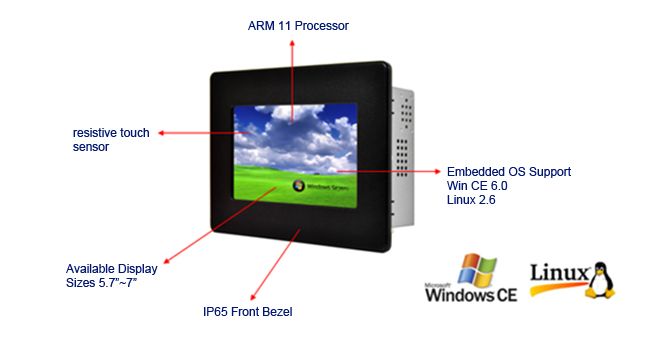 The ARM-HMI has 10/100 base-T Ethernet port and WIFI 802.11b/g offering solid communication ability and built-in Windows CE 6.0 or Linux 2.6 OS platform lets this device become open HMI solution for system integration. In order to provide customers more various and economical Panel PC, Winmate is going to release a series of HMI PPC products from now on. Customers can choose from ARM-HMI series according to real demands of functions and platforms.